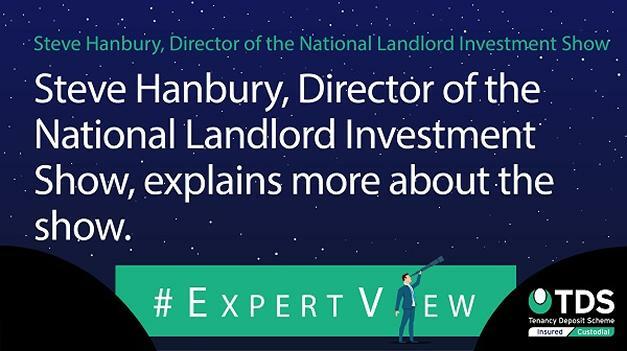 In this week's #ExpertView, Steve Hanbury, Director of the National Landlord Investment Show (LIS), explains more about the National Landlord Investment Show. The National Landlord Investment Show gives landlords and investors the opportunity to network and receive unparalleled advice from leading suppliers in the industry. The show is returning to London Olympia on Thursday 21st March. With over 60 editions to date, the shows provide a face-to-face platform for current and prospective landlords to keep up to date with industry developments and ensure they maximise on their property investments. The March show will feature the 'Government Panel Debate' take place with Andrew Neil (Political Broadcaster), Rt. Hon. Iain Duncan Smith (Former Conservative Party Leader), Tony Gimple (Less Tax 4 Landlords, Paul Mahoney (Nova Financial), Sarah Davidson (This is Money) and Simon Wilson (Collect Your Rent). This will take place in a 450 seated auditorium and gives a chance for UK landlords to voice their questions regarding Universal Credit, Brexit, Finance, Legal plus much more. TDS (Tenancy Deposit Scheme) will be exhibiting at the National Landlord Investment Show at the London Olympia on 21 March 2019, providing guidance and answering landlord’s questions on all things tenancy deposits. Find out more about the National Landlord Investment Show here. The National Landlord Investment Show (LIS) is a UK Landlord & Property Exhibition, attracting landlords, investors, management companies, property professionals, letting/estate agents, local councils and anyone who has an interest in the private rented sector and associated services. 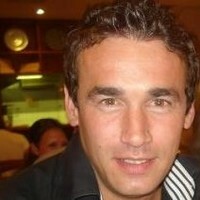 The show was started by husband and wife team Steve (pictured above) and Tracey Hanbury. Their first show was held on 16th May 2013 and by the end of 2018 the show had grown exponentially with successfully delivering 62 exhibitions across multiple UK locations. The first National LIS Awards was held in November 2018 with a prestigious and hugely successful event at the Grosvenor House Hotel in London. LIS regularly publishes the Landlord Investor (LI) Magazine which showcases news, views and advice from the industry and 2019 will see the launch of the Landlords Investors Club (LIC). To find out more, visit the Landlord Investment Show website.